Say #ThanksCoach: National Coaches Week is Coming Up Sept 17th-25th! Support Team Canada Gymnasts in Rio! Announcing the New GO Coaching Congress Website! Congratulations to Gymnastics Canada 2015-2016 Award Winners! Ontario Athletes Shine at Eastern Canadian Championships 2016! Ontario’s Jason Burnett Qualifies for His Third Olympic Games! LIVE STREAM TRAMPOLINE & TUMBLING ONTARIO CHAMPIONSHIPS HERE! Ontario Gymnasts Shine at Pac Rim 2016! Are You Going to Coaching Congress 2016? Ontarians Score Big at Canada Cup; MacLennan Headed to Rio! Ontario Athletes Make Pac Rim 2016 Canadian Teams! 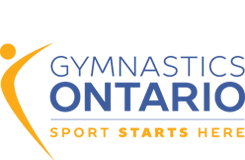 Gymnastics Ontario Hosts Tumbling Clinic at Winstars Gymnastics Club! Trampolinists Learn to Fly to New Heights at Kingston Aeros Trampoline Club! Congratulations on a successful Eastern Canadian Championships! Congratulations Trampoline Canada Winter Games Team! 2014-2015 Quest for Gold – Draft List of Ontario Card Nominations Announced !